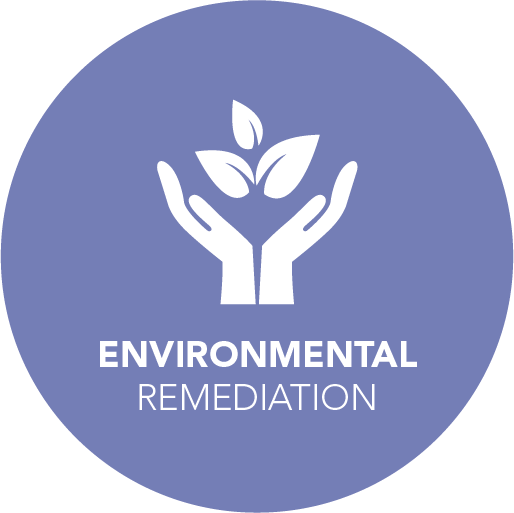 Our environmental remediation solutions encompass both traditional and non-traditional technologies. These include design and construction of systems using pump and treat, air sparging, soil vapor extraction, ozone treatment system, multiphase vacuum extraction, bioremediation, soil stabilization and natural attenuation. Non- traditional, innovative solutions that expedite the cleanup progress and minimize long-term liabilities are tailored to match our clients’ requirements. The firm has professional engineers and geologists on staff, with registrations in Florida, Georgia, Kentucky, and Puerto Rico. We are also certified by the Environmental Protection Agency as a Lead-Safe firm. We have a long and proud history of serving Miami-Dade County. CEI has worked directly on DERM driven programs since 1999. We have held a Professional Services Agreements (PSAs) for Groundwater, Surface Water, Soil Contamination Cleanup Services, and Construction Services for various municipal agencies throughout Miami-Dade County, Florida for 6 consecutive contracts. We obtained Site Closure for the Broward County Aviation Department by the Florida Environmental Protection, releasing the site for the construction of a new terminal. We remediated four (4) firing ranges for the Department of Homeland Security, and removed and recycled 246 tons of lead fragments. The project received a Small Business Achievement Award for Outstanding Performance. We have completed many multi-million dollar remediation projects for major private and governmental clients, including the US Department of Homeland Security, Miami International Airport, Coca-Cola Enterprises, Inc., US Naval Engineering Command Center, and Eglin Air Force Base.